Pimberly is pleased and excited to announce the acquisition of Open Range, the UK’s leading provider of Product Information for the IT and Office Supplies industry. Open Range, based in Redditch, near Birmingham, provide a database of over 1.25 million fully enriched and eCommerce ready product records along with associated imagery from over 500 world leading manufacturers. This allows its customers to have the most up to date Product Information in a “plug and play” format for their eCommerce platforms. Open Range is proud to support over 250 customers in the UK and Ireland. They also perform bespoke managed services, covering the creation and enrichment of Product Information for most of the UK’s leading IT & Office Supplies manufacturers/distributors. “We are excited about Open Range joining the Pimberly team. 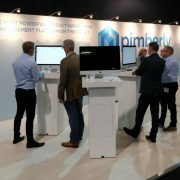 This move will allow us to cross-sell our Pimberly SaaS platform to more of the UK’s IT & Office Supplies manufacturers, distributors/resellers and also to be able to provide Pimberly customers with a valuable Product Data managed service. Open Range will be moving its 1.25 million product database onto the Pimberly platform making it even easier for Pimberly customers to have access to great product content”. This won’t change things over at Pimberly HQ – Open Range will continue to operate as a separate business under the Open Range brand from its Redditch offices and there will be no change in staff or processes. 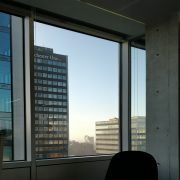 Over the coming weeks the Open Range system will be migrated to the Pimberly SaaS platform and Pimberly will be communicating to all joint customers the additional value added solutions the combined businesses can offer. Open Range has been serving IT resellers since 2001 and is currently the only independent supplier of product data covering product ranges from all major suppliers in the Office and IT sectors. Get-the-Spec delivers content in a single unified data format, which massively reduces the costs and work required to populate and maintain web stores with quality product information and media. The unique Get-the-Spec data structure enables developers to provide advanced web store functions, such as filtered product searches and enhanced navigation, to improve the customer experience and promote increased on-line sales. If you’re interested to hear more about how this news can benefit you and your company, feel free to get in touch. 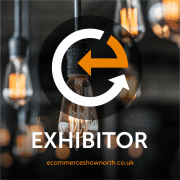 We're going to eCommerce Show North! 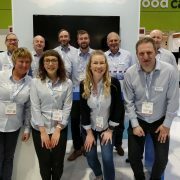 eCommerce Show North 2017 in Pimberly Pictures!